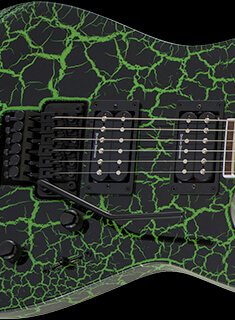 On Neck-Thru-Body models, the serial number is stamped into the fingerboard at the last fret. All Randy Rhoads neck-through-body guitars were given “RR****” serial numbers from 1983 to spring 1990. After that, only custom Rhoads guitars bore “RR****” serial numbers; production Rhoads guitars were considered “USA” models and given “U0****” serial numbers. 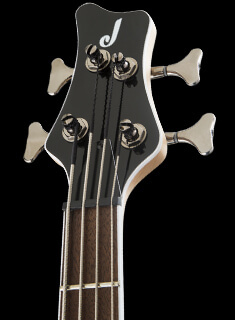 Neck-through-body guitars that weren’t Randy Rhoads models were given “J****” serial numbers, including Soloist™, King V™, Kelly™, Concert Bass and other models. After spring 1990, only custom neck-through-body models were given “J” serial numbers; production Soloist, Kelly and King V models, etc., were also considered “USA” models and given “U0****” serial numbers. 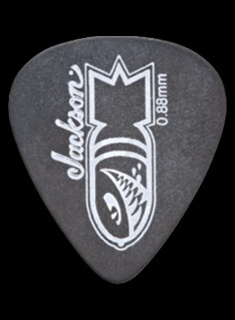 There are exceptions to this rule—production neck-through-body models from the 1990s can sometimes be found with “J” or “RR” serial numbers instead of “U” serial numbers; these typically identify an instrument as a Jackson Custom Shop prototype of some kind. 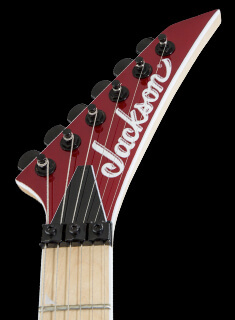 Also, a few Rhoads guitars were mistakenly released with “J” rather than “RR” serial numbers.